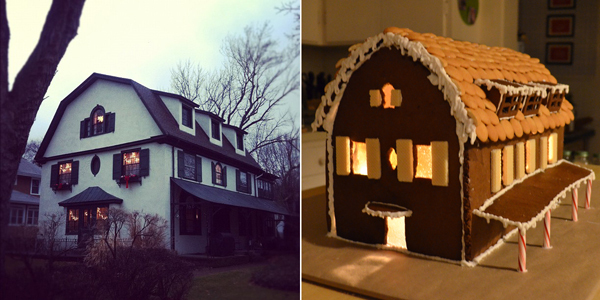 This year we took on the great gingerbread house project of 2012. 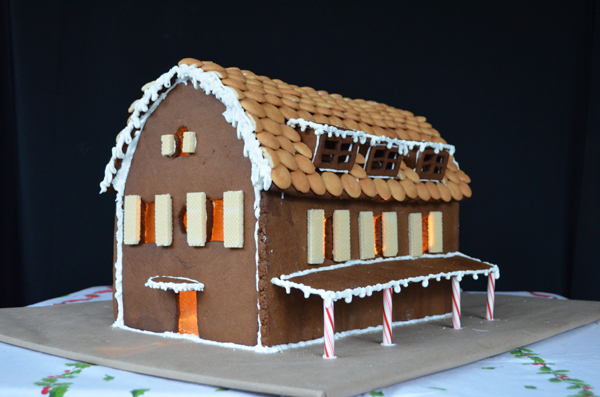 I bought a gingerbread house kit on sale at Wegmans. When I brought it home, Aaron took one look and said "Nuh-Uh". Next thing I know he is sketching out plans for a gingerbread replica of our house and the pre-made gingerbread house became the garage. 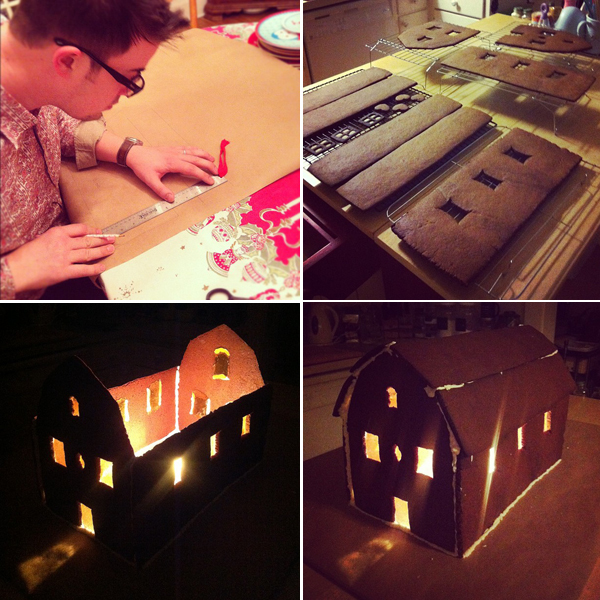 After cutting out the pieces by hand, baking them and assembling the house with frosting... we made sugar glass windows so Aaron could put a light inside the house. Here is the finished house next to a photo of our house. What do you think? Pretty close right? People have asked if we are going to eat it. Probably not. I suggested having a party and busting it up with bats like I saw on a commercial last year and Aaron almost passed out. I think we are shellacing this baby and putting it in our new deep freezer for next year. Another awesome craft from LJC and hubby! Great job. Always fun to read. Merry Christmas to Jenny and Aaron!